Shapes Galore is a new and exciting rug that is perfect for circle or story time. 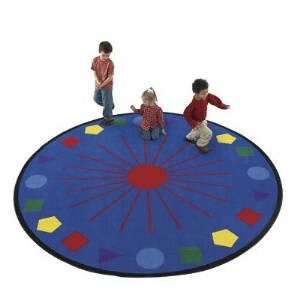 This rug has bright primary colors and bold shapes to help stimulate the child's learning. Shapes Gloare can allow up to twenty children to be seated at the same time for any learning experience.